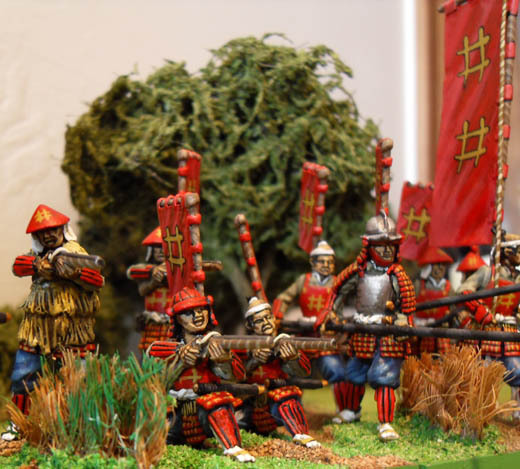 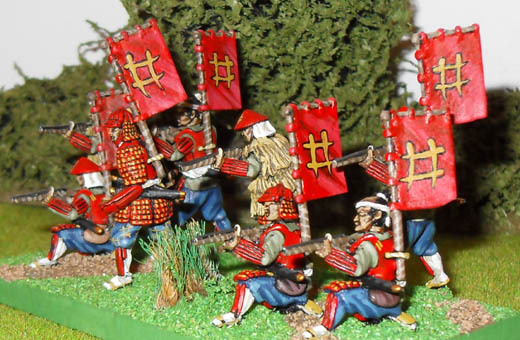 A mixed unit of Ashigaru with arquebus. 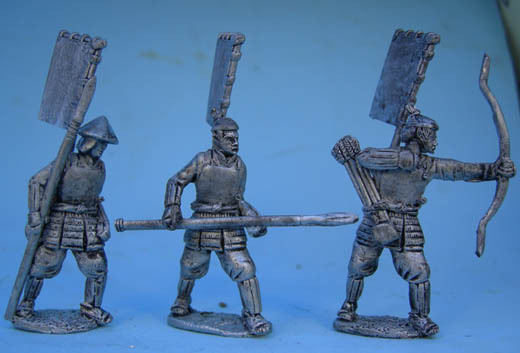 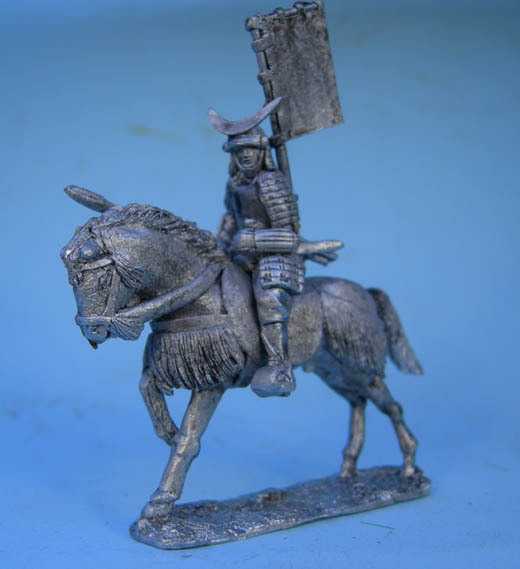 Ashigaru come with separate heads and samurai come with separate helmet crests. 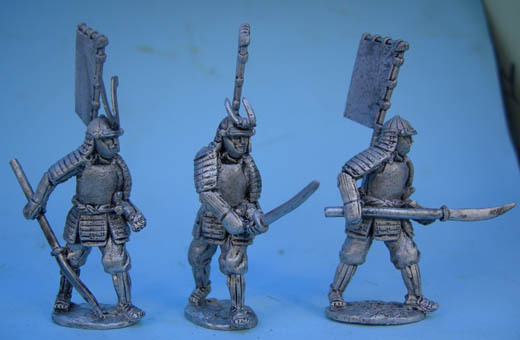 Sashimono are on optional extra. 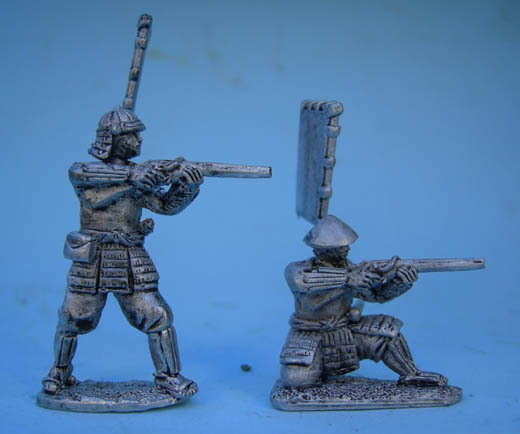 They have a peg which easily locates into a small hole on the figures back. 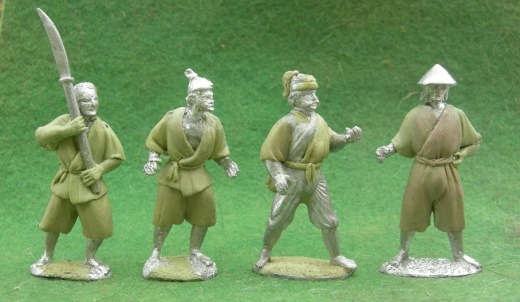 LSAM 13-16 when they were mainly milliput masters!